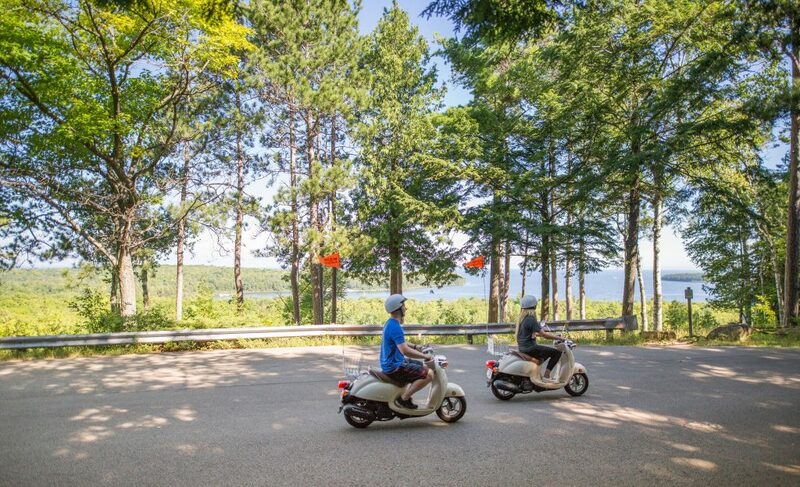 Located steps from Peninsula State Park trailheads, family owned Edge of Park offers a wide range of bicycle and moped rentals for all ages and abilities. 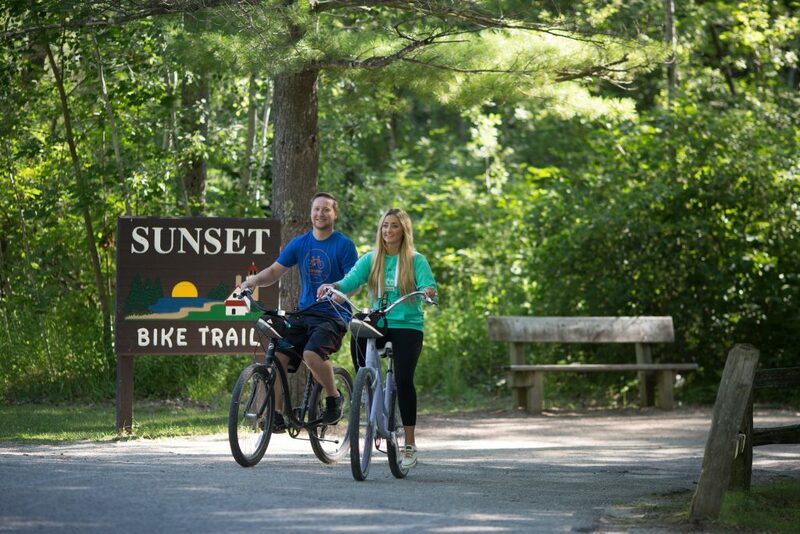 Enjoy popular Sunset Bike Trail or scenic paved roads throughout the Park and surrounding County. 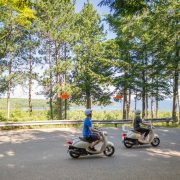 Our experienced staff will ensure you find the best routes for you and your family. 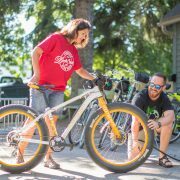 Rentals include a helmet, lock, map and backpack as well as easy parking and trail access to get you on your adventure in no time! 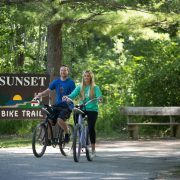 Peninsula State Park’s most popular Sunset Bike Trail is a gently rolling, family friendly, 10 mile loop traveling through cedar and beech forests and along the Lake Michigan Shoreline. 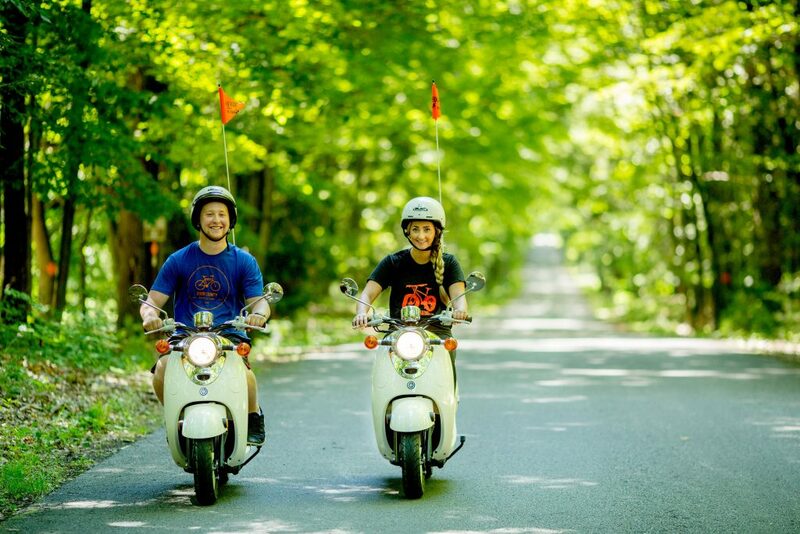 20+ miles of paved roads for bikes or mopeds offer heightened views along the Niagara Escarpment and 12+ miles of single track mountain bike trails travel through open field and forest for an off-road adventure. 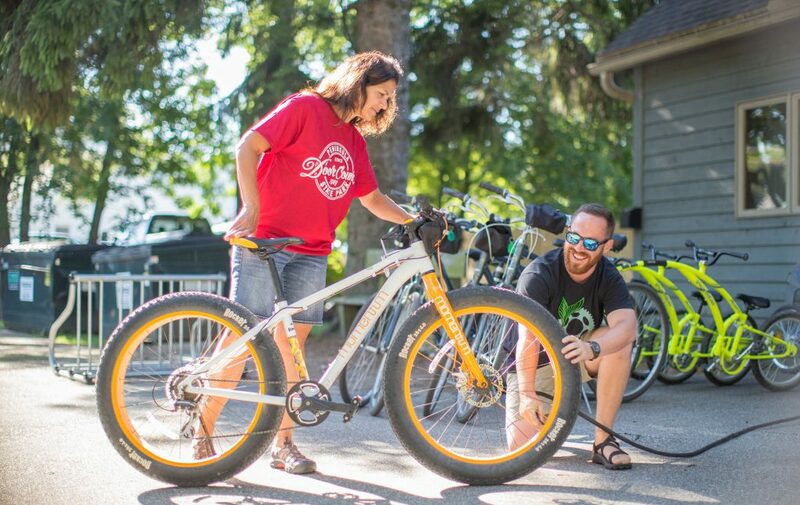 Roads and bike trails offer easy access to Eagle Bluff Lighthouse, Nature Center and Nicolet Beach. 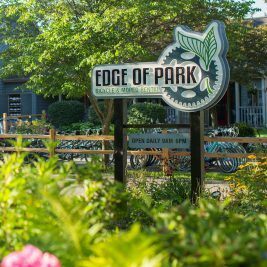 Open daily April through October. 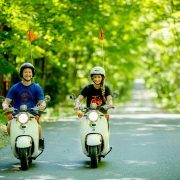 For more information on bicycle options and rates or to book a moped check out our website or give us a call!